La plata es un metal precioso de gran valor económico y tecnológico debido a la variedad de usos y aplicaciones que tiene en la industria. Adicionalmente, su recuperación de aguas residuales tiene importancia ambiental a causa de las estrictas regulaciones que existen hoy en día, por lo que el desarrollo y la mejora continua de métodos de recuperación de plata son de amplio interés a nivel mundial. De acuerdo con lo expresado anteriormente, en este documento se hace una breve descripción de las estrategias que se han utilizado tradicionalmente para la obtención de este metal, hasta las técnicas más recientes para su extracción y recuperación. Se discuten procesos como la cianuración, el uso de la electrólisis y más ampliamente, la implementación de la tecnología de membranas. Almeida, G. S. M. I., Cattrall W. R., Kolev, D. S. (2012) Recent trends in extraction and transport of metal ions using polymer inclusion membranes (PIMs). Journal of Membrane Science, 415,9-23. Arous O., Kerdjoudj H., Seta P. (2004) Comparison of carrier-facilitated silver (I) and copper (II) ions transport mechanisms in a supported liquid membrane and in a plasticized cellulose triacetate membrane. Journal of Membrane Science, 241, 177-185. Benavente J., Oleinikova M., Muñoz M., Valiente M. (1998) Characterization of novel activated composite membranes by impedance spectroscopy. Journal of Electroanalytical Chemistry, 451, 173–180. Bourges, J., Broudic J. C., Dauby J., Leboucher I., Leclerc O., Baticle, P. (2002) U.S. patent 6428679. Assignors to Commisariat de l´Énergie Atomique, Paris, and Compagnie Générale des Matériels Nucleaires, Valizy-Villacoublary. Calzado A., Palet C., Valiente M. (2001) Facilitated transport and separation of aromatic amino acids through activated composite membranes. Analytica Chimica Acta, 431, 59–67. Chen, W.T., Ma C. C., Lee, M. H., Chu, Y. C., Tsai, L.C., Shu C.M. (2012) Silver recovery and chemical oxygen demand (COD) removal from waste fixer solutions. Applied Energy, 100, 187–192. Clemente, R. (2008) Materials Handbook. Springer, London, p. 396. Dimitrov, K., Boyadzhiev, L., Saboni, A., Alexandrova, S. (2002) Silver Recovery from Dilute Aqueous Solutions Using Semi-Batch RF-Pertraction. Chemical Engineering & Technology, 25 (6), 663-66. Dornelles, A. F. A., Dos Santos, V. S., Moura, B. A. (2014) Metals recovery from galvanic sludge by sulfate roasting and thiosulfate leaching. Minerals Engineering, 60, 1–7. Eastman Kodak Company (1996) Recovering Silver from Photographic Processing Solutions. Agosto 16, 2014, de KODAK Publications, U.S.A. [En línea]. http://www.kodak.com/ek/uploadedFiles/J215ENG.pdf. Fink, G. D., Beaty, W. H., Carroll, M. J. (1984) Manual práctico de electricidad para ingenieros. Reverte, pp. 23-26. Flett, D. S. (2005) Solvent extraction in hydrometallurgy: the role of organophosphorus extractants. Journal of Organometallic Chemistry, 690, 2426–2438. Grandison A. S., Lewis M. J. (1996) Separation processes in the food and biotechnology industries: principles and applications. Woodhead Publishing Limited, Cambridge, England, p. 5. Gumí T., Torras C., Valls R. G., Palet C. (2005) Activated Composite Membranes Containing the Chiral Carrier N-hexadecyl-l-hydroxyproline. Description of Morphology and Performance. 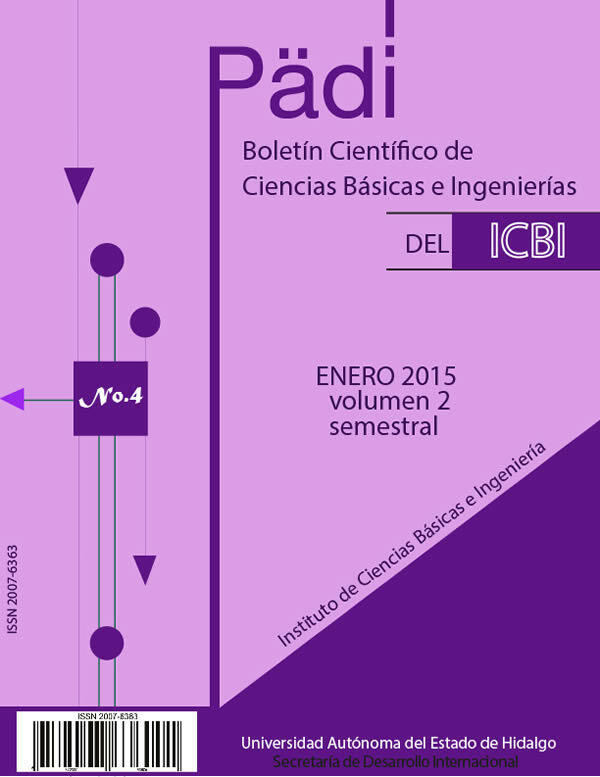 Industrial & Engineering Chemistry Research, 44, 7696–7700. Gurung, M., Adhikari B.B., Kawakita, H., Ohto K., Inoue, K., Alam, S. (2013) Hydrometallurgy, 133, 84–93. Jujun, R., Xingjiong, Z., Yiming, Q., Jian, H. (2014) A new strain for recovering precious metals from waste printed circuit boards. Waste Management, 34, pp. 901–907. Kemperman, A. J. B., Bargeman, D., Van Den Boomgaard, T., Strathmann, H. (1996) Stability of Supported Liquid Membranes: State of the Art. Separation Science and Technology, 31:20, 2733-2762. Klein, C., Hurlbut, S. C. (2003) Manual de mineralogía, 2, p. 375. Macanás J., Palacio L., Prádanos P., A. Hernández, Muñoz M. (2006) Atomic force microscopy as a suitable technique for surface characterization of activated composite membranes for metal ion facilitated transport. Applied Physics A, 84, 277–284. Mandeel, H. (2012) This is why I’m invested in physical silver. SGT report [En línea]. http://sgtreport.com/2012/05/guset-post-this-is-why-im-invested-in-physical-silver. Morones, R. R. (2010) Historia de la plata: su impacto en las antiguas civilizaciones y la sociedad moderna. Revista Digital Universitaria, 11, 7, pp. 1-9. Mulder, M. (2003) Basic Principles of Membrane Technology. Kluwer Academic Publishers, p. 6. Muñoz, L.J.J. (2010) La plata del rey y de sus vasallos: minería y metalurgia en México (siglos XVI y XVII). Consejo Superior de Investigaciones Científicas, Escuela de Estudios Hispano-Americanos, Universidad de Sevilla, Diputación de Sevilla. Oleinikova M., Muñoz M. (2000) Transport of rare earth metal ions through activated composite membranes containing DEHPA. Solvent Extraction and Ion Exchange, 18 (2), 401-419. Oleinikova M., Valls R.G., Valiente M.M., Tapia M.M. (2003) ESP patente 2180368. Procedimiento para la obtención de membranas compuestas para el transporte de especies químicas, pp. 1-10. Páez H. M.E., Aguilar A. K., Galán V. C. A., Palomar P., M. E., Romero R. M. A., Ramírez S. M. T. (2005) Mercury Ions Removal from Aqueous Solution Using an Activated Composite Membrane. Environmental Science & Technology, 39, 667-767. Páez H. M.E., Aguilar A. K., Valiente M., Ramírez S. M.T., Romero R. M., Palomar P. M. (2004) Facilitated transport of Hg(II) through novel activated composite membranes. Analytical and Bioanalytical Chemistry, 380, 690–697. Parga, J.R., Carrillo F.R. (1996) Avances en los métodos de recuperación de oro y plata de minerales refractarios. Revista de Metalurgia, 32(4), 254-261. Petrova T. M., Tzaneva B., Fachikov L., Hristov J. (2013) Silver recovery from spent photographic solutions by a magnetically assisted particle bed. Chemical Engineering and Processing, 71, 83-96. Pfrepper G., Pfrepper R., Knothe M. (1989) Recovery of palladium and silver from process solutions by precipitation with thiocyanates and iron cyanides. Hydrometallurgy, 21 (3), 293-304. Pickering, P. J., Southerm, C. R. (1997) Clean-up to Chirality—Liquid Membranes as a Facilitating Technology? Journal of Chemical Technology and Biotechnology, 68, 417-424. Polat, H., Erdogan, D. (2007) Heavy metal removal from wastewaters by ion ﬂotation. Journal of Hazardous Materials, 148, 267-273. Rehman, U. S., Akhtar, G, Chaudry, A. M., Ali, K,Ullah, N. (2012) Transport of Ag + through tri-n-dodecylamine supported liquid membranes. Journal of Membrane Science, 389, 287-293. Riveros P. A., Cooper W. C. (1987) Proceedings of Metallurgical Society of Canadian Institute of Mining and Metallurgy, pp. 379–393. Rousseau R. W. (1987) Handbook of Separation Process Technology. John Wiley & Sons, p. ix. Tang, B., Yu, G., Fang, J., Shi, T. (2010) Recovery of high-purity silver directly from dilute effluents by an emulsion liquid membrane-crystallization process. Journal of Hazardous Materials, 177, 377–383. USGS (2014) Silver Statistics and Information. U.S. Geological Survey (USGS), U.S.A. [En línea]. http://minerals.usgs.gov/minerals/pubs/commodity/silver/index.html. Walkowiak W., Kozlowski C. A. (2009) Macrocycle carriers for separation of metal ions in liquid membrane processes—a review. Desalination, 240, 186-197. Wang S., Li H., Chen X., Yang M., Qi Y., J. (2012) Selective adsorption of silver ions from aqueous solution using polystyrene-supported trimercaptotriazine resin. Journal of Environmental Sciences, 24 (12), 2166–2172. Wongsawa, T., Sunsandee, N., Pancharoen, U., Lothongkum, A. W. (2014) High-efficiency HFSLM for silver-ion pertraction from pharmaceutical wastewater and mass-transport models. Chemical Engineering Research and Design. In Press, Corrected Proof. DOI: 10.1016/j.cherd.2014.01.005. Yang, X. J., Fane, A. G., Soldenhoff, K. (2003) Comparison of Liquid Membrane Processes for Metal Separations: Permeability, Stability, and Selectivity. Industrial & Engineering Chemistry Research, 42, 392-403.